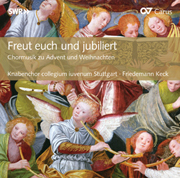 The ecumenical boys’ choir Knabenchor collegium iuvenum Stuttgart, based at the Stuttgart cathedral singing school, is independent both denominationally and as an institution. Founded in 1989, it sees its objective not only as purely musical, but also as extracurricular youth education and socio-political mission. The aim of the musical work is to continue the more than thousand-year-old tradition of famous boys’ choirs and to carry on the centuries-old culture of spiritual choral music. The choir’s particular strength lies in its very broad repertoire, which includes especially works of sacred choral music from the Renaissance to the modern age. 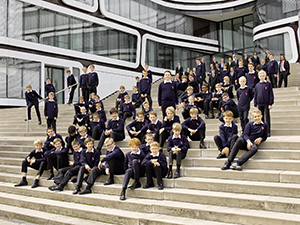 The boys’ choir collegium iuvenum Stuttgart has been set up as a choir school. It systematically works with young people, beginning at pre-school age, but it is not a boarding school choir. Currently it consists of about 190 singers. The boys begin early musical training at the age of five. There are several age groups, culminating in the concert choir. After the change of voice, many singers return to sing in the men’s choir and then remain associated with the choir as active singers until they are about 25 years old. In addition to a well-founded musical education, the educators in charge place emphasis on the fact that the boys develop joy in singing. In learning the literature, the boys and young men should not only learn notes but also spiritually apprehend and emotionally grasp the respective work. 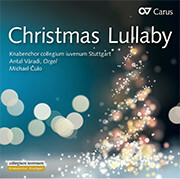 Since summer 2013, Michael Čulo has been the director of the choir. It is subsidized by the Förderverein collegium iuvenum Stuttgart e.V., a publicly registered sponsor of free youth welfare and extracurricular youth education. With their contributions and donations, the more than 700 members of the association cover part of the expenses for vocal training, concerts, travel, rehearsal and office space. 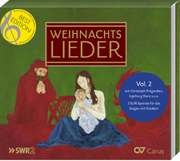 Thanks to the extraordinary commitment of many active and former choir members, parents and friends and the support of the state capital Stuttgart and the state of Baden-Württemberg, the boys’ choir collegium iuvenum Stuttgart has attained a high musical and artistic standard equal to that of top European choirs. 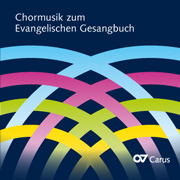 It can be heard regularly throughout the year in concerts and church services in Stuttgart and the region. Annual concert tours have taken the young choristers to France, Spain, Finland, Austria, Switzerland, Norway, Poland, Italy, Canada and the USA.